If you've followed Trvth over the years, you've probably seen me write about my 1999 Saturn SC-2. I bought the car in February 2001 with 28,000 miles on it. I drove it until March 2015 when I handed it down to my youngest daughter with 366,000 miles on it. During the time I had it, it averaged better than 30 MPG, year-in and year-out. I'm happy to say that this car continues to serve my daughter well. 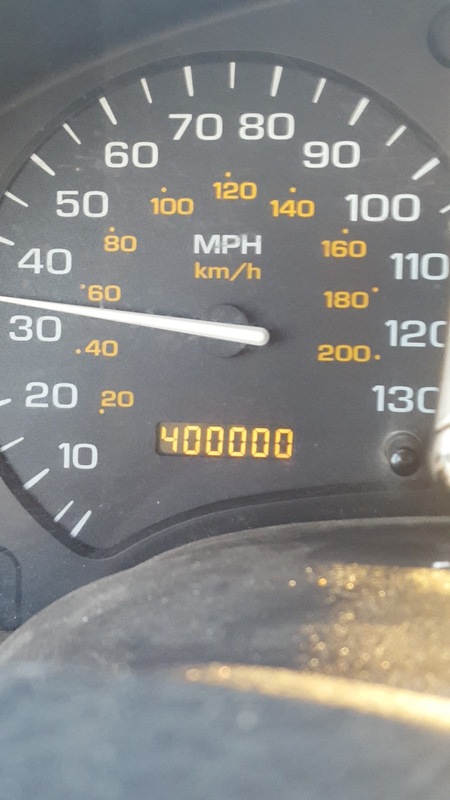 On 29 September 2017 she sent me a text message with an image of the odometer showing 400,000 miles.